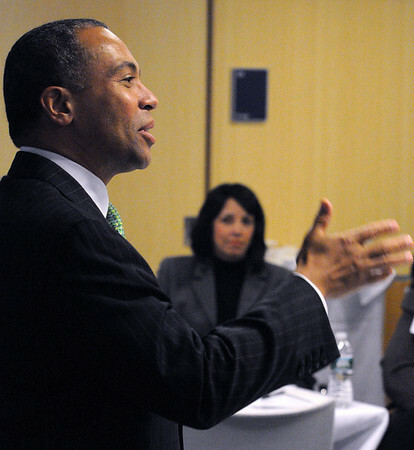 Governor Deval Patrick speaks at the Mass Mayors Association meeting held at Salem State University. Salem mayor Kim Driscoll listens in the background. Photo by Ken Yuszkus/Salem News, Wednesday, February 16, 2011.